Baahuabli 2 is one film which is being eagerly awaited all over. Now that the release date is nearing soon, massive premiere shows are being planned all over the world. The overseas distributors have already booked several screens all over their respective countries and the advance bookings are already on. 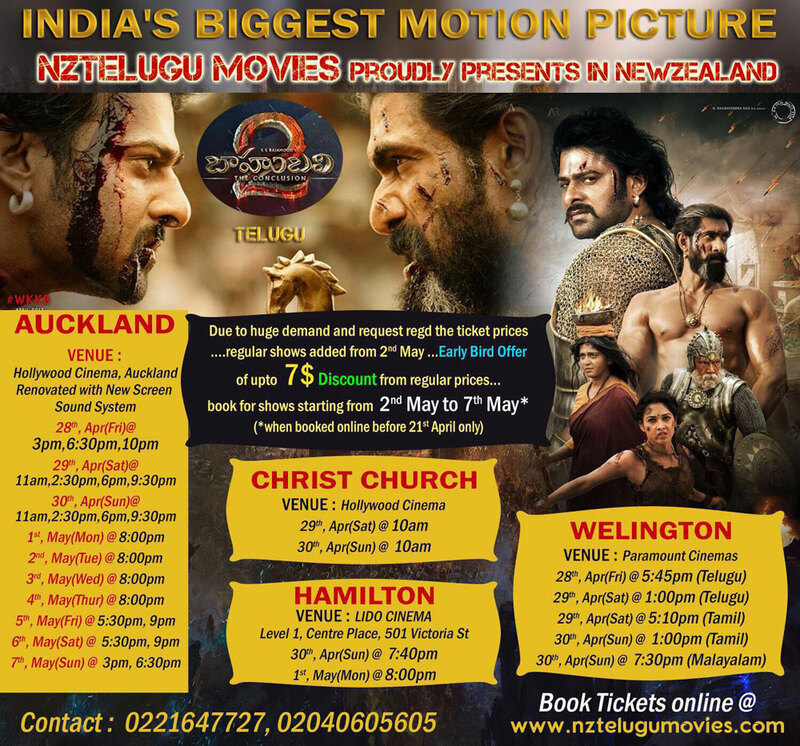 The craze in New Zealand is also massive as the film will be screened in many locations. Click here to check out the show timings in New Zealand. Also, check our homepage 123telugu.com to find out the show timings and various schedules of this film in USA and Nizam.